When people refer to the MIT Blackjack Team, they are really talking about a team of blackjack players from Massachusetts Institute of Technology, Harvard, and other prestigious universities who counted cards in order to defeat casinos and rake in massive winnings from games of blackjack. 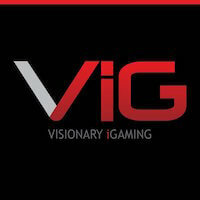 It may be difficult to believe, but the team that was founded in 1979 operated off and on for more than twenty years before finally falling disbanding. Before we get into the how’s and why’s surrounding the MIT Blackjack team, it would serve you well to understand what card counting is and how it functions. What’s more, it is also worth mentioning that casinos—since the MIT Blackjack Team story became made famous by the movie “21”—actively work to thwart card counters and the many strategies that they employ and have employed. 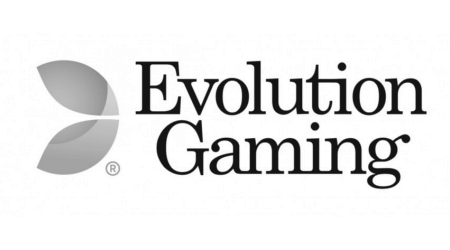 After having talked with a representative of Evolution Gaming, we have discovered that there are plenty of card counters or “wannabes” at the live online blackjack tables too. 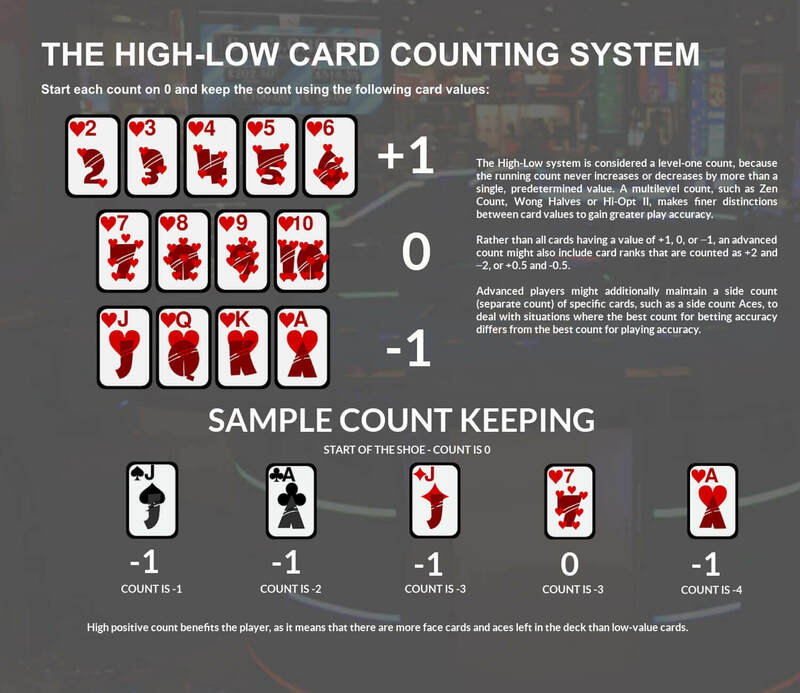 Methods such as shuffle tracking and hole carding are just two of the most popular methods by which players can count cards. Despite what many people will tell you, blackjack can, in fact, be beaten by a single player who is skilled and intelligent enough. In its simplest form, card counting takes blackjack’s two basic options—hitting and standing—to a deeper level. If you understand anything about blackjack, low cards are typically viewed as being negative while high cards are often seen as being positive. Because a player can view all cards that have been dealt, they can take count of all the low cards and all the high cards that have come prior to the current hand. Understanding that the Ace of hearts cannot be drawn more than once (or can only be drawn a certain number of times in a shoe consisting of six or eight decks), the card counter can narrow down the cards that have yet to be drawn and ultimately have a statistically better shot of guessing what kind of cards will be dealt in subsequent hands. What was described above is more specifically referred to as shuffle tracking and though it is not foolproof, keeping close track of the cards that have been dealt can end up in a statistical advantage for the player or team. In blackjack shoes that consist of six or eight decks, the likelihood that every card will be shuffled each time is not very high. As such, you have plenty of situations where the same sequences of cards will appear over and over throughout a single night. If a team is paying close enough attention and accurately tracking how the cards are shuffled, they may end up becoming familiar with a certain sequence, giving them a better idea of when they should hit and when they should stand. Even more, this will give the team a better idea of when to bet big and when to hang back. This is a very simplistic example, but if you are approaching a sequence where a K and an A follow each other in close proximity, you may choose to bet a much larger amount than if you were confident that the next sequence of cards is going to have a bunch of low cards, such as 2s, 3s, and 4s. If this basic description of card counting sounds confusing and complicated, that’s because it is. While it may seem like anyone can walk into a casino and simply pay close attention to a dealer shuffling cards, the reality is that this is extremely difficult to do. What’s more, if you have a pen and paper or some other device whereby you are keeping tabs on the cards that have been dealt, it is likely that casino staff will notice and politely (or not politely at all) ask you to leave. Though card counting is not strictly illegal in most jurisdictions, casinos reserve the right to refuse service to any patron for any reason of their choosing. Understanding this, it might make a bit more sense why some of the brightest minds in the world were the only ones to be able to successfully dupe casinos out of thousands and thousands of dollars. At the end of the day, card counting is in no way a pathway to guaranteed success. Instead, it is a method whereby your statistical likelihood of knowing what card (or cards) will be dealt next is higher than the average player. For this reason, if you are taking only a few hundred dollars to a blackjack table with the hopes of counting cards and striking it rich, you may be disappointed when your bankroll runs out and you are left penniless. This is why the MIT team needed to take large sums of money with them on their trips, because they would often lose money initially before coming out on top in the long-run; the “long-run” being the operative phrase as it could take hours and hours before winnings began to mount. MIT’s first blackjack team consisted of six students who were mostly math majors and, by extension, math whiz-kids. After teaching themselves basic card counting techniques through the latter stages of 1979, the team went to Atlantic City in the spring of 1980 and successfully beat quite a few of the city’s famed casinos without ever being detected. After that first trip, members of the team quickly hung up their gambling aspirations, graduated, and never sat down at a blackjack table again. Bill Kaplan, one of the original members, is not one of the folks who hung up the boots after that initial 1980 trip. In fact, he kept gambling at casinos around the world and eventually became the coach of the MIT Blackjack Team that the movie “21” profiles; one from the early 1990s. Like the original team, the MIT students from the 1990s had taught themselves how to count cards and really wanted to use Kaplan’s experience and expertise to take their exploits from a hobby to something much more than that. Around this time, casino resorts the likes of which we now are familiar with in Atlantic City and Las Vegas began to gain fame, notoriety, and thousands and thousands of annual visitors. As such, Kaplan and his team solicited over $1 million from folks who had previously invested in MIT blackjack teams and reaped the benefits of those investments. As fate would have it, the team actually became a limited partnership known as Strategic Investments, whose sole goal was to train some of the smartest mathematical minds in the art of counting cards and ultimately wreak havoc on casinos who would have no idea what hit them. By the time the MIT Team had reached its peak, there were more than 50 players and a number of investors. 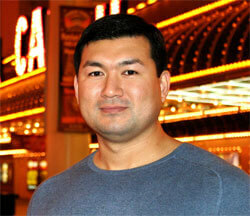 A young 22-year old named Mike Aponte was a member of the 1990s MIT team who was chosen to be one of the main gamblers. Though he seemed to have a real knack for counting cards, his experience was limited strictly to empty classrooms at MIT’s Cambridge, Massachusetts campus. During his first real gambling experience, the young man was handed a whopping $40,000 and was unleashed to the floor of an Atlantic City casino. Despite high hopes and massive expectations, Aponte and the rest of the team were feeling nervous when the initial $40,000 was 25% lighter within less than a quarter of an hour. After those initial losses, Aponte told BBC that he was immediately greeted by a casino host and treated to the most lavish of accommodations. The initial $10,000 losses may have seemed staggering, but by the time that initial weekend had concluded, Aponte and his team walked away with a profit of $25,000. What might surprise you is that Aponte and his team were less concerned about the actual counting of cards during blackjack play, and quite a bit concerned with not blowing their cover. For those unaware, casinos—and by extension their hosts—do their best to take care of high-roller gamblers, not only when they lose, but also when they win. As such, it is understandable that a handful of college students found it difficult to play the part of high-roller gamblers. After a while however, the group got used to the attention they were receiving and learned how to focus on their craft in spite of the many distractions. As time wore on, the MIT team, led by Aponte, began bringing home larger and larger sums of money from single weekend trips. On one occasion—one that is highlighted in the film—a group of team members that did not include Aponte returned to Boston from Las Vegas with more than $100,000 that was shockingly kept in only a paper bag and brought to a blackjack practice session being held in a vacant classroom. To make a long story short, the bag was left in an MIT classroom and was discovered, months later, to have been stolen by a cleaner. After an extensive investigation by the DEA and FBI, the money was eventually found and returned. No matter how unassuming you are, if you gallivant across the US and world to different casinos and consistently walk away with large sums of cash, there is no doubt in the world that you will begin to gain attention, particularly from casino owners, managers, and, most importantly, security staff. As we mentioned before, it is almost always legal to count cards, but if a casino catches you in the act they are within their right to bar you from the property or simply allow you to play whatever game you want, so long as it is not blackjack. That is a situation that happened to Mike Aponte on a few occasions. People may hear horror stories of being taken into a back room and being beaten to a pulp by casino security, but the reality is much more mundane than that. In most cases, as Aponte explained to BBC, security would simply inform you that you are no longer allowed to play blackjack at that particular establishment. Whether the ban was solely for the night in question or permanent is something that would have been decided by casinos on a case-by-case basis. Casinos in foreign locales were not always as calm when they discovered the MIT Team counting cards, but the worst outcome that ever happened was that winnings were confiscated by police. Though MIT blackjack teams persisted into the early 2000s, the team had reached its peak in the early 1990s and shortly thereafter many of the higher-profile players decided to pursue rather normal lives. By nature, card counting is a sneaky activity that is not meant to have attention brought to it. Understanding this, casinos to this very day have a tough time putting an out and out stop to the practice. If you are caught counting cards, the casino may do as they did to the MIT team and simply bar them from playing blackjack, but more often than not people are not caught, but simply suspected of card counting. The methods by which casinos attempt to stop or catch card counting are nothing overly special or unique. If you have ever been on the floor of a casino, a quick look at the ceiling will unveil hundreds and hundreds of cameras that are watching you and every other patrons’ moves. The people viewing these closed-circuit camera systems are security staff trained to spot cheaters. The trained casino staff will take into consideration all sorts of nonverbal cues in order to identify any sort of card counting activity and put a stop to it as quickly as possible. When it comes down to it, there are a few different methods a casino can stop a suspected card counter without bringing a lot of attention to what they are doing. Casinos are careful in how they handle these situations because they understand that causing a scene and regularly kicking players out is bad for business. As such, there are subtle methods employed that have been proven to be quite effective. By now, you have probably gathered that card counting is a practice that takes an extreme attention to detail. If a player who is attempting this is distracted at all, their count may be thrown off entirely. For this reason, casino comps prove to be one of the absolute most effective methods at thwarting a card counter. 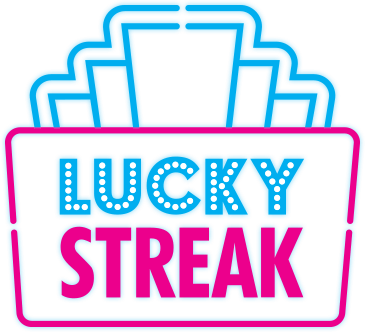 Once a player begins to go on a large winning streak, they will be approached by a host that will offer them all sorts of free stuff. Whether it be a room upgrade, free meals, or a variety of other item, the host will greet the player, compliment them on how well they are doing, and proceed to give them what seems like a generous gift or set of gifts. The reason this is most effective is multifaceted. For one, the card counter may realize exactly what is happening and choose to quit while they are ahead. Another reason this method is proven to work is because of what was mentioned above. The player, once engaged in conversation with the host, will lose focus on the action at the table and understand that their count has been muddied and thus their chances of continuing a large winning streak will have been minimized. In a standard casino blackjack game, multiple decks of cards are shuffled together and cut. Once the cut card emerges, the cards are shuffled and the game will proceed as normal. Of course, once the cards are shuffled the card counter will need to restart their count. Casinos understand that card counters can be entirely thrown off by a single shuffle, so in instances where card counting is suspected the dealer may be ordered by the pit boss to shuffle the decks before the cut card has emerged. A truly skilled card counter will simply use this as an opportunity to restart their count and continue playing, but many will take their winnings and move on. If a casino has unsuccessfully attempted to thwart a player who is counting cards, they may simply approach them and ask them to leave. On occasion, the player in question will be asked to leave the property altogether, but often times they will simply be told that they are no longer able to play blackjack. 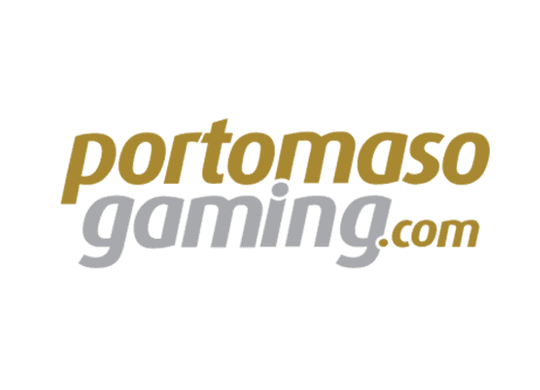 The reason the latter of the two options is often pursued has a lot to do with how the casino is perceived by other on looking players. Once again, casinos understand that coming up to a table and rudely and abruptly telling a player they are banned leads to a situation where that establishment may garner a reputation of banning any player that performs well. In the never-ending pursuit of profits, this is not a practice a casino wants to be known for. Instead, they may simply and politely inform the player that they are no longer welcome at the blackjack tables. They may even go as far as to play it off as though the player is winning too much money, playing too well, and that they cannot withstand such losses. A ban from blackjack alone may lead to a situation where the card counter moves on to less favorable games such as craps and gives the casino back some of what they’ve won. Card counting is something that does happen, but it is also something you, as a casino patron, are likely to never see. Whether it be because the card counter is not caught or because the casino is extremely cautious with how they thwart him/her, it is just not a situation you will often encounter. Just as it is with card counting in a traditional casino, card counting during live dealer online blackjack games can be done, but it is far from easy. Apart from the fact that counting cards is an incredibly difficult task in and of itself, there are things online casinos do to thwart any potential card counting activities. The first line of defense commonly employed by online casinos is what is known as a continuous shuffling machine, or CSM. As the name implies, cards are continuously shuffled throughout the course of a game, meaning that you can never truly get into a groove. Just as soon as the potential card counter will begin to “predict” what cards are coming next, the CSM will make an appearance and force the counter to start over. Something else that makes card counting during online live dealer games tricky is the pace of play. On the floor of most casinos, a player can squeeze well over 100 rounds of blackjack in a single hour. With online live dealer games, however, you will be lucky to play even 30 or 40 hands in an hour. The main reason why this is so is because people are given such a crazy amount of time to respond with whether they would like to hit or stand. With some sites offering more than ten seconds for a player to reply, it often becomes impossibly to expect to play more than a few dozens hands in an hour. So, even if CSM technology is not utilized, the length of time it would take for someone to count cards would not justify pursuing the activity. What’s more, online casinos that do not use CSM often shuffle decks at random times in the middle of a shoe. So even if you have a good grasp on the cards that may be about to be shown, the mid-shoe shuffle will throw you off completely and force you to start over. *18+ T&C's apply to all bonus offers. Please gamble responsibly.